A-F. That’s the way the Texas Education Agency (TEA) is now grading school districts around the state. 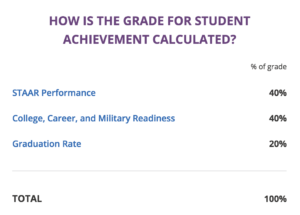 Scores are based upon the cumulative weights of STAAR performance, college, career, and military readiness, and graduation rate. 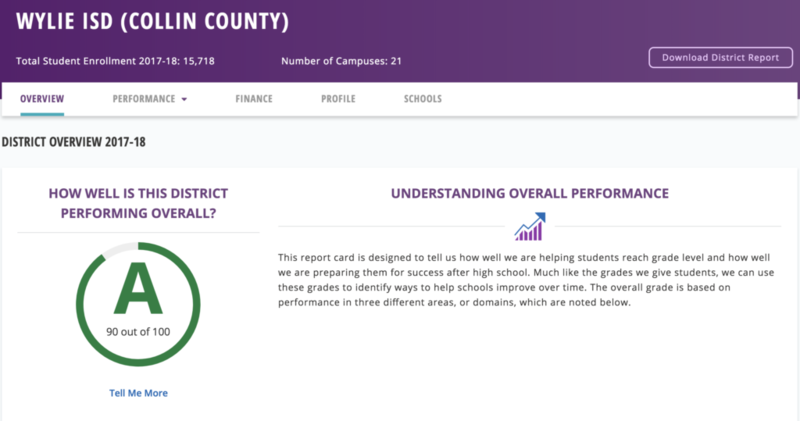 Wylie ISD received an “A” rating, one of 39 others out of the nearly 160 school districts and charter schools in the Dallas-Fort Worth area. 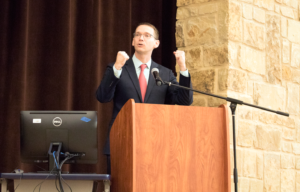 Texas Education Commissioner Mike Morath visited Inspiration’s own George W. Bush Elementary School yesterday to hold a press conference congratulating the school and the district on their accomplishment. “Education is about maximizing the growth of human potential,” said Commissioner Morath at the press conference. He thanked George. W. Bush educators in attendance for their commitment to helping students make the most of their potential through finding the most effective ways to educate. 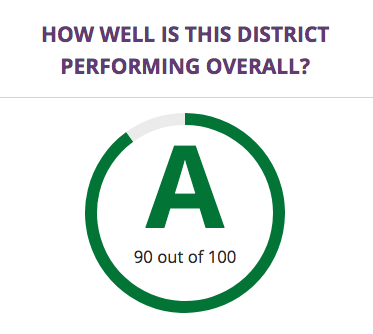 For more information about A-F school district ratings and to search the grades of districts or individual campuses, please visit www.TXschools.org.